I have to admit that I love this time of year! I could spend all day and every day photographing the delights that autumn brings. 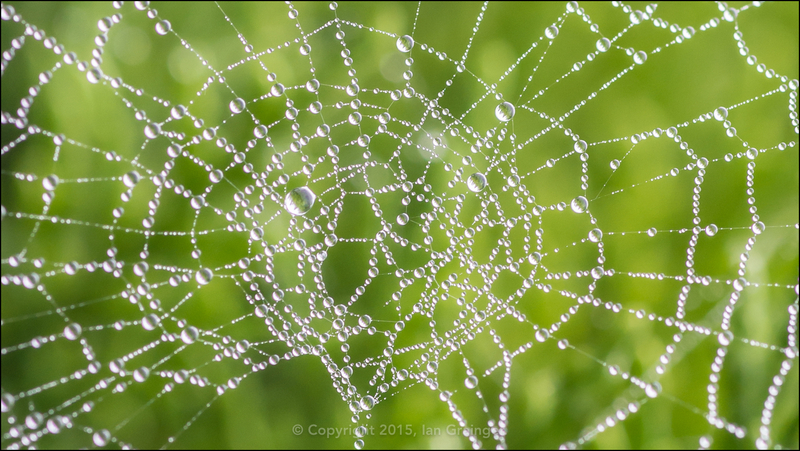 Just when you think there's nothing left in the garden to photograph, you come across something like this - a raindrop covered orb weaving spider web. There can't be many more beautiful sights in nature. I love the way the raindrops look like little pearls, and the way they congregate together on the strings of spider silk.